Mill-Max is excited to announce the release of our lowest profile target connectors with an above board height of only .087” (2,21mm). Target connectors are used in place of SMT pads on a PCB as the mating surface for spring-loaded pins. They provide increased durability and are useful in achieving specific distances between boards. To augment our existing .100” (2,54mm) grid target connector lineup we are introducing four new, low profile products. 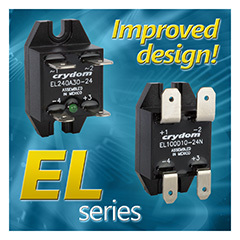 These connectors are all surface mount, available in single or double row packages and are offered with flat or concave target faces. Concave face targets provide additional surface area for mating and can aid in centering/alignment of components and/or boards fitted with spring-loaded connectors. Precision-machined pins with an overall length tolerance of +/- .0015” (+/-.0381mm) help to achieve a co-planarity of .005” (,13mm) or better for connectors up to 1” (25,4mm) long. Advanced machining techniques are used to ensure no burr protrusion on either the target face or the surface mount termination end. Target connectors are used in place of SMT pads on a PCB as the mating surface for spring-loaded pins. They provide increased durability and are useful in achieving specific distances between boards. 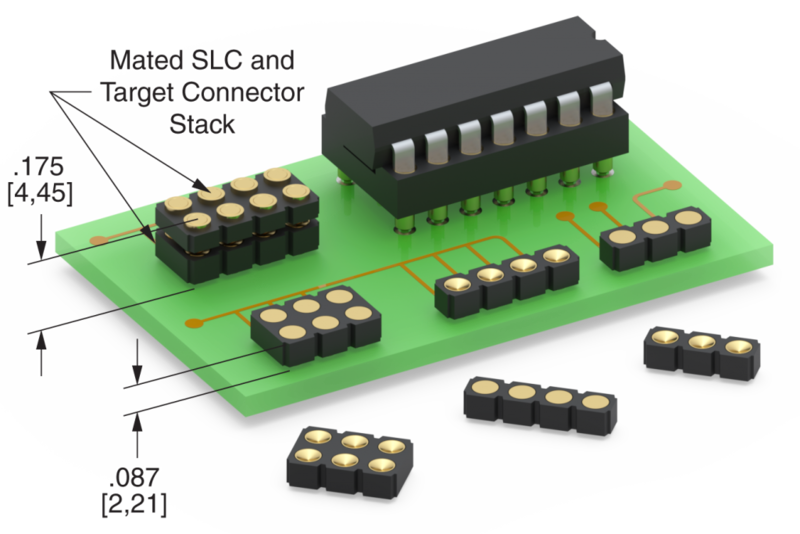 Combining target connectors with spring-loaded connectors on opposing boards can be a simple and convenient solution for making connections between stacked boards or docking stations and devices. These new connectors are ideally suited for low profile applications where multiple connections are required. To achieve an ultra-low profile mated pair using these target connectors, the Mill-Max series 815 and 817 (single and double row respectively) are the ideal choice. The 815/817 connectors, compressed to ½ stroke and used in combination with these new low profile target connectors, provide a board to board spacing of just .175” (4,45mm). All the pins are precision-machined and gold-plated for environmental protection, durability and good conductivity. The connector insulators are molded from high temperature plastic suitable for most soldering process including RoHS environments. All of these products are RoHS compliant. See the attached catalog pages for further details. For more information, contact Robin D. Ritter, Marketing Coordinator, Mill-Max Mfg. Corp., rritter@mill-max.com; www.mill-max.com; PR674, 3/17. We are excited to announce the launch of our new website. We are looking forward to sharing news about what we are doing with our principals and distributor relationships that help our clients grow their business. We’ll be posting company news, as well as sharing new product information in our Product Showcase as new products are available to feature. If you are a manufacturer or distributor, and would like to write a guest post, please let us know. Looking forward to sharing more as the new site evolves!